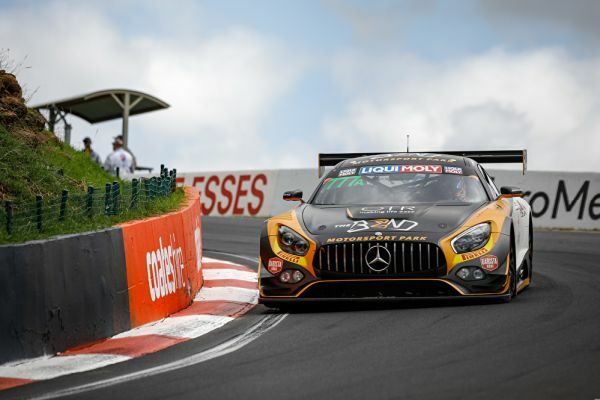 Mercedes-AMG Motorsport is leading in the 2019 Intercontinental GT Challenge Powered by Pirelli standings: with third place for the Mercedes-AMG Team GruppeM Racing with drivers Maximilian Buhk, Maximilian Götz (both GER) and Raffaele Marciello (ITA) as well as fourth place for the Mercedes-AMG Team Vodafone with Craig Lowndes (AUS), Shane van Gisbergen (NZL) and Jamie Whincup (AUS) in the Bathurst 12-hour race (1-3 February), Mercedes-AMG is in the lead of the IGTC manufacturers’ standings. With 13th place overall (5th place Pro-Am) for drivers Yelmer Buurman (NED), Mark Griffith (AUS) and Christina Nielsen (DEN), Griffith Corp. 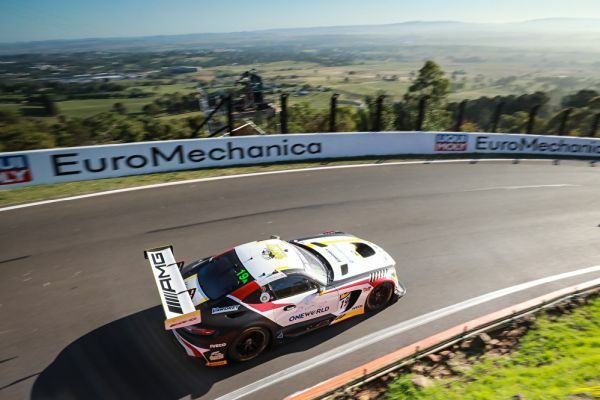 Team Nineteen, BLACK FALCON rounded out the successful weekend at the legendary Mount Panorama Circuit. 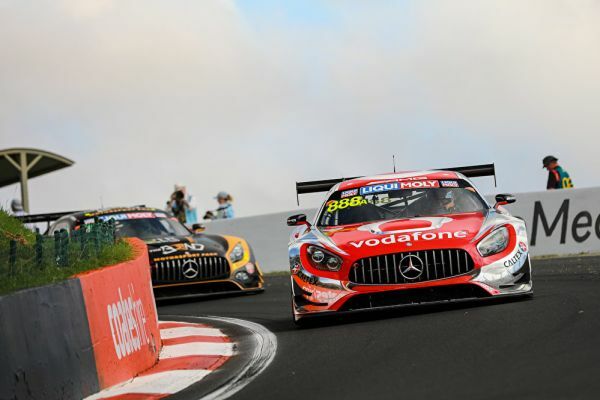 The six Mercedes-AMG GT3s showed a strong performance in the 17th running of the Bathurst 12-hour race. The cars from Affalterbach already topped the time sheets in the practice sessions. 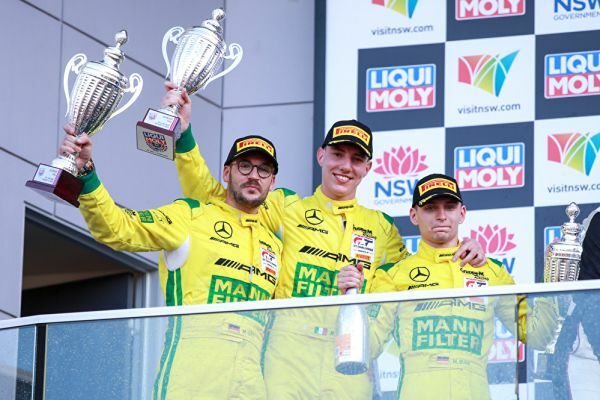 Four teams qualified for the top 10 shootout in which Raffaele Marciello came out on top with his starting number 999 (Mercedes-AMG Team GruppeM Racing) entry and claimed the coveted Allan Simonsen Pole Position Trophy as a result. 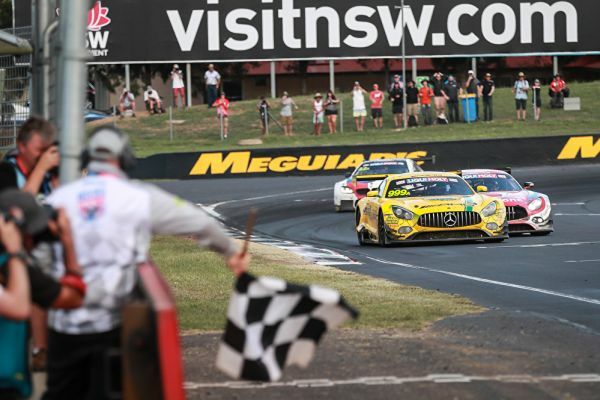 With second (#77, Mercedes-AMG Team Craft Bamboo BLACK FALCON), fourth (#777, The Bend Motorsport Park) and seventh place (#19, Griffith Corp. Team Nineteen, BLACK FALCON), the other Mercedes-AMG GT3s also secured themselves excellent grid positions for the race start in the early hours of Sunday morning (5.45 hrs local time). At the track that was still fully covered in darkness, starting drivers Maximilian Buhk (#999) and Luca Stolz (#77) put in an extraordinarily good start. Within a few laps, they managed to pull clear from the field. After around an hour, their advantage on the third-placed car was eight seconds and on the fourth-placed team almost 30 seconds. Yelmer Buurman (#19) and Luke Youlden (#777) also held promising top ten positions. With the first pit stops, Stolz took the lead from Buhk and remained in control at the restarts following the first safety car interventions. 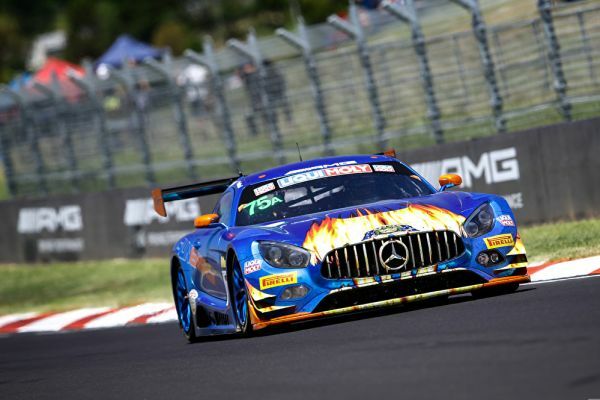 An action-packed middle part of the race mixed up the field: SunEnergy1 Racing #75 and the Mercedes-AMG Team Craft Bamboo BLACK FALCON #77 had to park their cars due to failures. The car with starting number 999 incurred a pair of drive-through penalties while in contention for the overall win, but remained within striking distance of the podium positions. After early pit stops, the #888 Mercedes-AMG Team Vofafone managed to work its way back up into the top five as the race went on. Until the end of the 12-hour race, seven cars managed to stay on the lead lap, setting the stage for an extremely thrilling final stint. During the final pit stop, the Mercedes-AMG Team GruppeM Racing decided to let the #999 rejoin the race without fresh tyres in order to save time. That worked out and final driver Marciello returned into the field in second place. At the end of a safety car intervention with 20 minutes remaining in the race, Marciello had to do his utmost with degrading tyres to keep the opposition at bay. With a strong performance, he managed to bring third place home after 312 laps. With fresh tyres, on the other hand, the car with starting number 888 and final driver Shane van Gisbergen was able to fully attack once more and worked its way back up to fourth place with an impressive final sprint. Yelmer Buurman brought the #19 Mercedes-AMG GT3 home in a creditable 13th place overall (5th place Pro-Am), the team having lost time due to a collision with an opponent. As a result, Mercedes-AMG is starting the new IGTC season in the lead of the points’ standings. The next Intercontinental GT Challenge round is scheduled in North America with the Laguna Seca Raceway California 8 Hour (28-30 March), followed by the Total 24 Hours of Spa (25-28 July), the Suzuka 10 Hours (23-25 August) and the season finale, the Kyalami 9 Hour (21-23 November).